The National Public Seating 9200 Stack Chair has a spacious, 2" thick padded seat, making it a comfortable choice for your lecture hall or auditorium. The sturdy steel frame holds up to daily wear and tear. 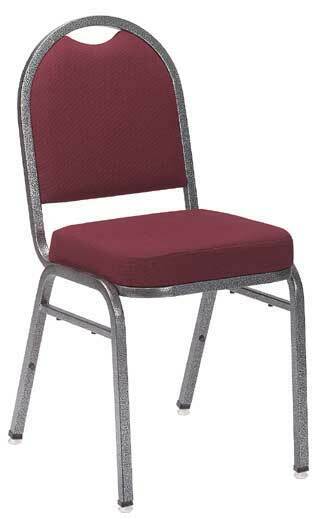 Bumpers protect your chairs from scratches while stacked. Choose from a nice selection of jewel-toned vinyl and fabric colors.